Provision mapping outlines the whole schools commitment to providing high provision for all pupils. It is a rigourous and methodical approach to delivery, evaluation and assessment of the practices going on in school. It facilitates ensuring all pupils are making progress, their indivual needs are being addressed and optimises good practice with the all important measure of impact of group interventions. I used an established cycle of provision and adapted to suit our needs (shown below) which ensures an on going process occurs continually. There are lots of diagrams out there so it's worth having a look at what suits you. 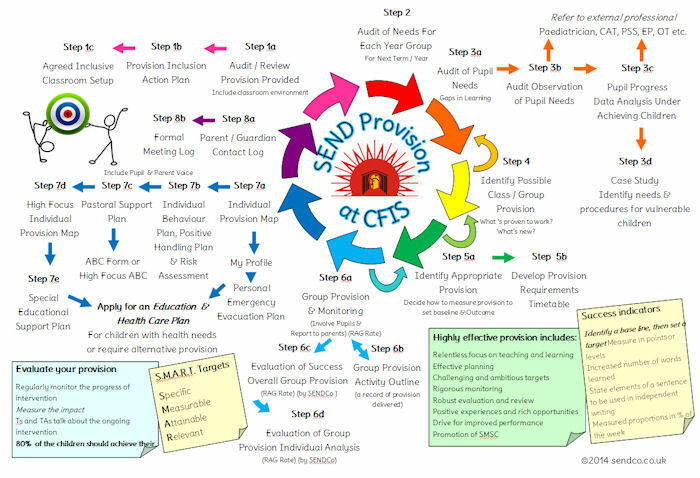 The cycle involves 7 key steps of auditing, identifying needs, matching the needs to the intervention, assessment, evaluating the impact and success, this then leads to Individual Provision documents if needed. 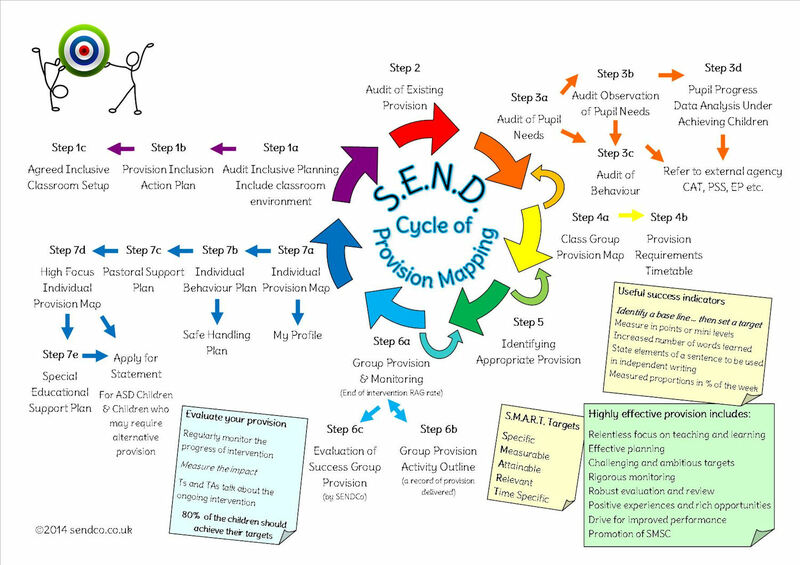 Group provision of intervention involves pupils on the SEN register and those who are not making the expected progress and are at risk of being put on the register. Here are my Steps - all downloadable and editble files to do with what you wish - all I ask is that when you share them you leave the sendco.co.uk link at the base of each page so others can find the site and join the discussions.